The international Circular Change Conference has grown into one of the key European events dedicated to the circular economy. 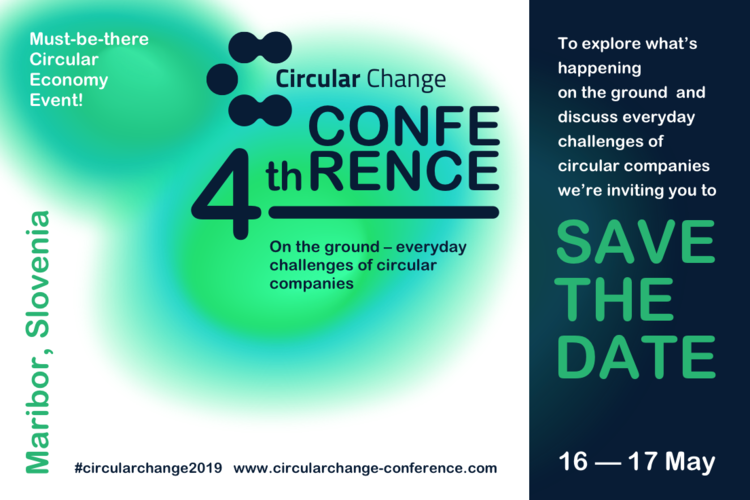 It offers participants, speakers and sponsors the opportunity to connect, become engaged, inspired, and up-to-date with the newest developments in the global push towards circularity. The ambition of the 4th Circular Change Conference is to move towards "less talk, more action". This year, the conference is focusing on real business cases from four priority sectors defined in the Roadmap Towards the Circular Economy in Slovenia - food system, manufacturing industries, mobility and forest-based value chains, while bringing in the key role of creative industries. Supported by renowned mentors from all over the world, the Circular Change team will be joined by around 400 participants from over 20 countries who will help us co-create sustainable solutions for the future.